Our joint New Year’s Eve party featured a seated formal dinner. 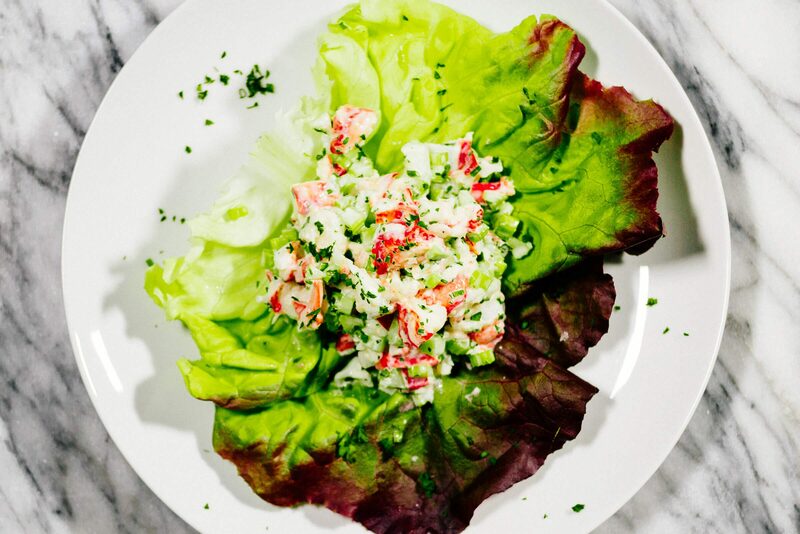 Since Dungeness Crab season has been suspended indefinitely in California, interfering with our holiday plans (see our crab-less cioppino recipe in this post), we thought live Maine lobster from Water2Table would be the next best thing. The trouble with lobster (and any shellfish you have to crack open) is that it’s messy. 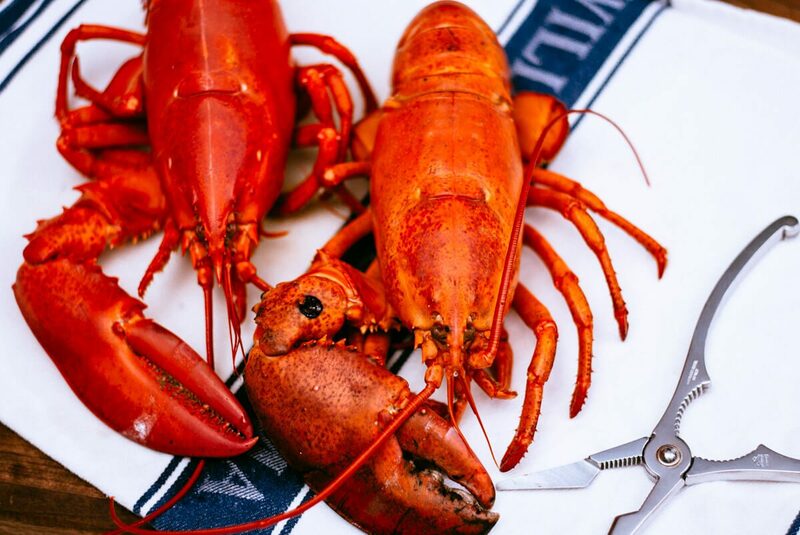 Per a recommendation from our friend Katrina, we decided to serve the lobster “on the half shell” such that you could eat it with a fork. We steamed the lobster, removed and diced the meat, tossed it in butter, and then served it in the shell. Everyone at the table was served half of a tail filled with meat, and topped with a claw. No need for bibs and seafood crackers, and no shells flying across the room for us! See more photos from our New Year’s Eve party in this post. We pre-assembled all of the tails, and covered them tightly on a sheet pan with foil. This allowed us to transport them and heat them gently in the oven until the lobster was warmed through. These were a big hit! Lobster is so much better when you don’t have to work for it! See more recipes from our New Year’s Eve party here, here, and here. Steam the lobsters and let cool. Break apart the lobsters. Split the tail in half lengthwise, and remove the tail meat and claw meat, keeping the claws in one piece. Rinse the tail shells ot remove any small bits of shell. Arrange on sheet pan and fill each tail half with the lobster and butter mixture. Top with a claw. When read to serve warm through with an extra pad of butter on top. If you salt your water you'll want to make sure you don't over salt your lobster. Taste, taste, taste!